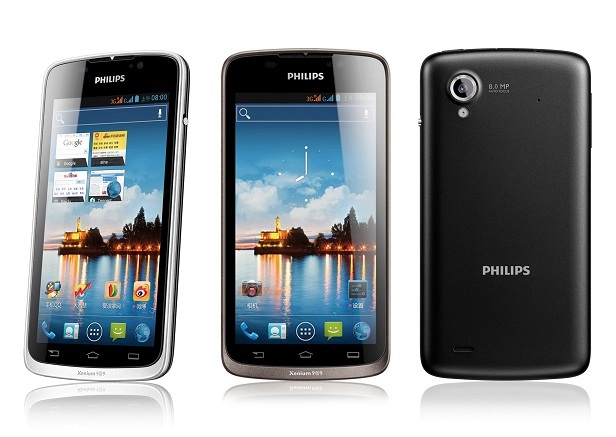 The Philips W832, also called the Philips Xenium, is a high-performance mobile phone released in November 2012. It features a high definition touch screen and a dual-core 1 GHz CPU. If you own this phone, and have begun to notice poor or sluggish performance, erratically behaving programs or other software problems, it’s a pretty sure sign that you’re in need of a factory reset. It’s not difficult to hard reset the Philips W832 Xenium, and in fact two methods have been provided by the manufacturer, each suited to different specific problems. The Philips W832 runs on Android 4.0 Ice Cream Sandwich and features a handy dual-SIM feature for mobile phone users who which to switch between alternate carriers. The 8MP camera and dual-core CPU are both top-notch elements designed to deliver a competitive top-market product at relatively low cost. It features a MicroSD card slot behind the back battery tray which allows an additional 32 GB of storage space for your personal data and user files. If you’d like to reset your Philips W832 to factory settings, you’ll need to remove this card before continuing any further. This procedure will erase all of your personal data, contacts, messages, and other user files present on the phone. Before continuing any further, you will want to make sure that this information is safely backed up onto an external drive or in your cloud storage. If this all-important step is left out, you will wake up at the end of this article with a phone completely emptied of all your user data and third party applications. Go ahead and make a backup now. Open the applications tray and select Settings. From there, choose Personal Settings then Security. Now chose Wipe Data/Factory Reset from this folder. Start with the phone off, then press and hold both the Power and Volume up buttons. When a logo and then a recovery menu will appear, release the buttons and choose Wipe Data/Factory Reset. Select Reboot System now and wait for the phone to restart.